The fellowship is open to Iraqis who hold a university degree, have at least five years of professional experience and have sufficient knowledge of English. Submission must be made through the website of the US Embassy in Iraq https://iq.usembassy.gov/education-culture/exchange-programs/hubert-humphrey-fellowship/ before 16 June. 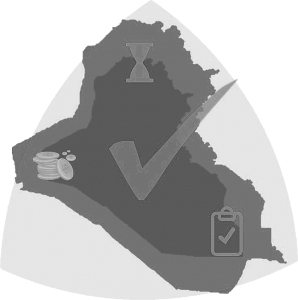 The Iraq Project Management Organization provides an assistance service to those who wish to apply for the Hubert H Humphrey Fellowship. The service includes consulting, checking the electronic form, translation and actual submission of the application through the organization’s email. The service is free for those with a valid membership card for the Iraq Project Management Organization. The service is available to non-members at a cost of $ 200. التقديم يكون عن طريق الموقع الأكتروني للسفارة الأمريكية في العراق https://iq.usembassy.gov/education-culture/exchange-programs/hubert-humphrey-fellowship/ قبل 16 حزيران . بە خۆشحاڵیەوە ڕێکخراوی کارگێڕی پرۆژەکانی عێراق ڕای دەگەیەنێت کە پرۆژەی هاوکاری هیوبرت همفری بۆ یارمەتی دانی ئەندامانی ئارەزومەند کە شارەزان ئەتوانن داواکاری پێشکەش بکەن بۆ گەشتن بۆ هیوبرت همفری ڕۆشنبیری لە وڵاتە یەکگرتوەکانی ئەمەریکا بۆ ماوەی ١٠ مانگ بۆ پێشکەوتنی تواناکانی . ١-هاوکاری کراوەیە بۆ عێراقیەکان کە هەڵگری بروانامەی زانکۆن ئەوانەش ئەزمونی پیشەییان هەیە وە لە ٥ ساڵ کەمتر نەبێت وە توانای قسە کردنی بە باشی هەبیت لە زمانی ئینگلیزیدا.